The ladders feature 80mm deep treads with a deeply ribbed non-slip surface. 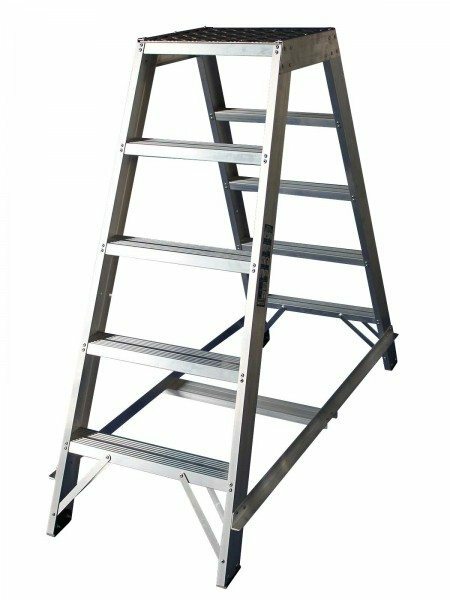 Each tread is double riveted for extra rigidity. 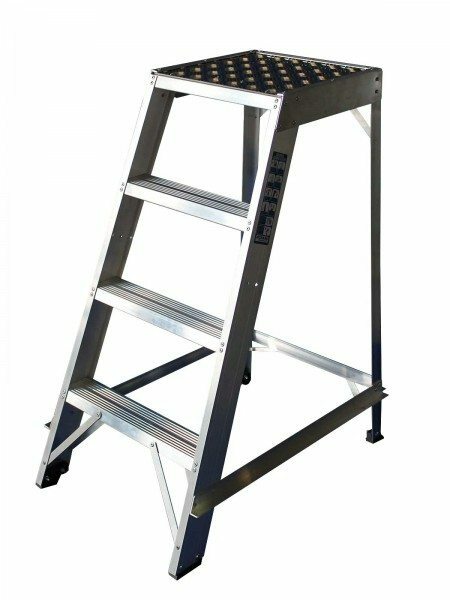 Front and rear stays on the bottom tread increase the robustness of the ladder and locking side trays allow for positive over centre locking in the open position. 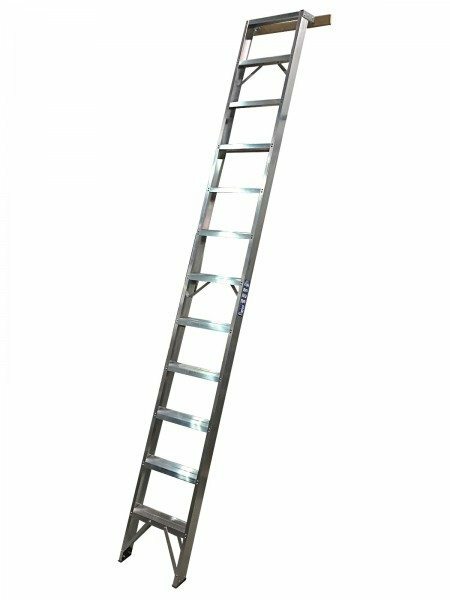 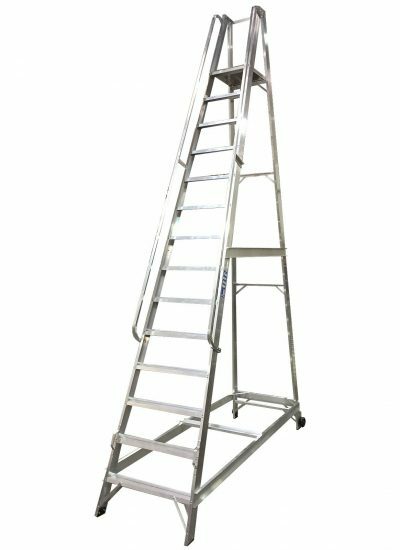 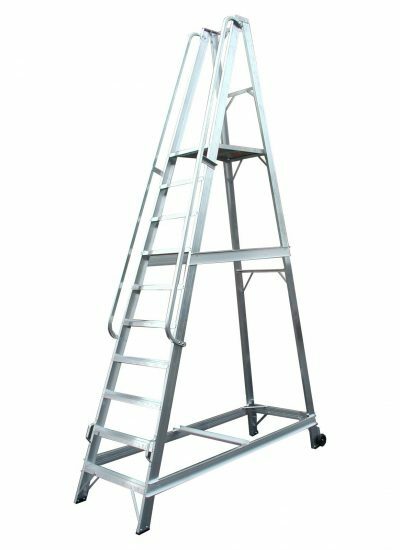 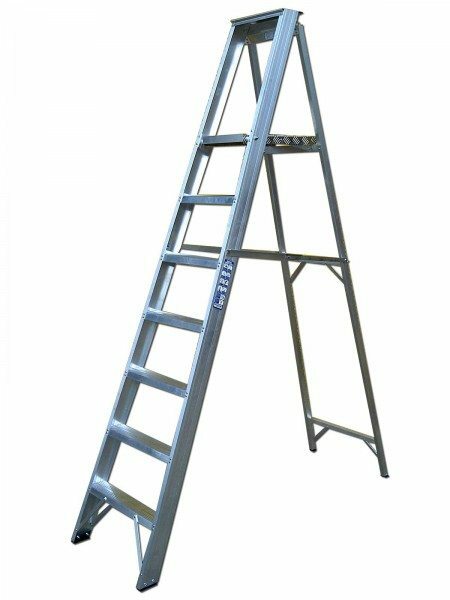 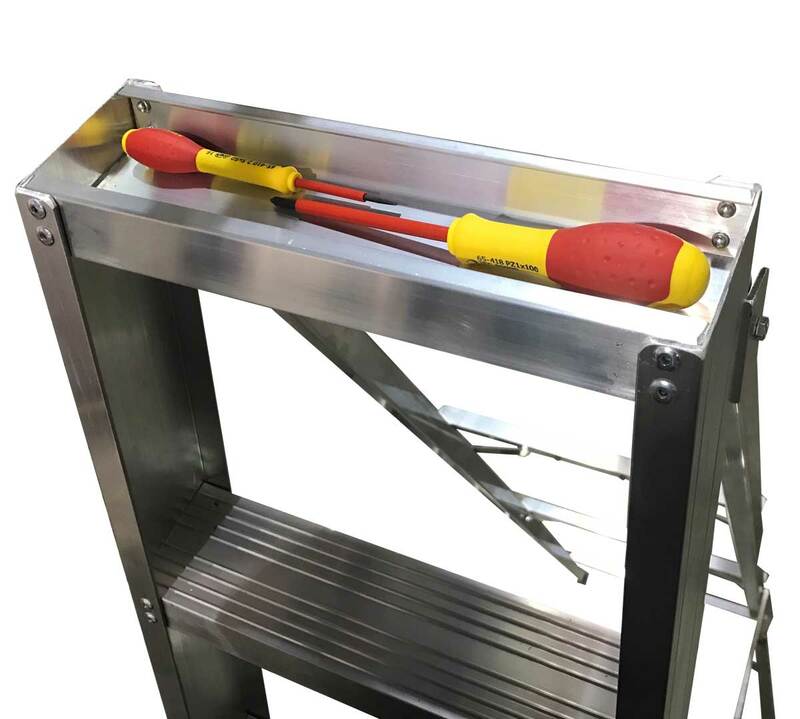 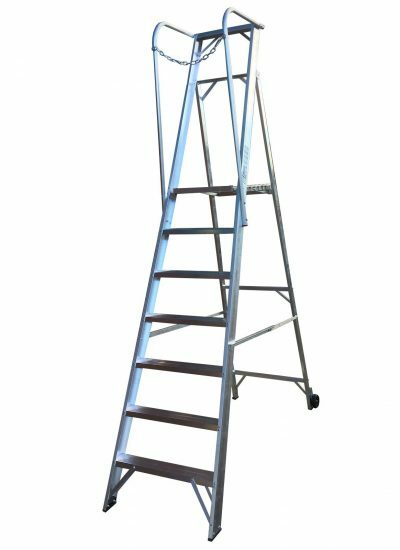 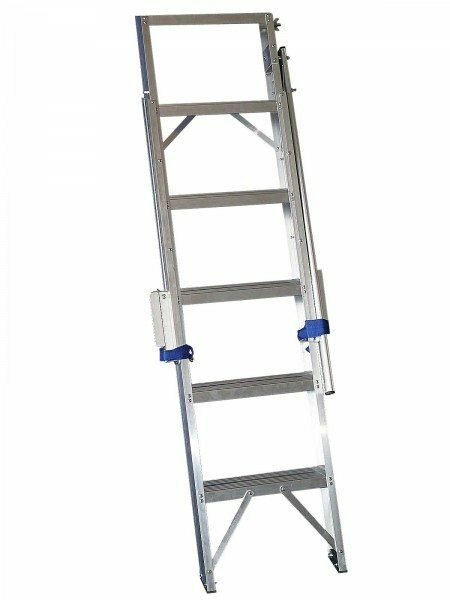 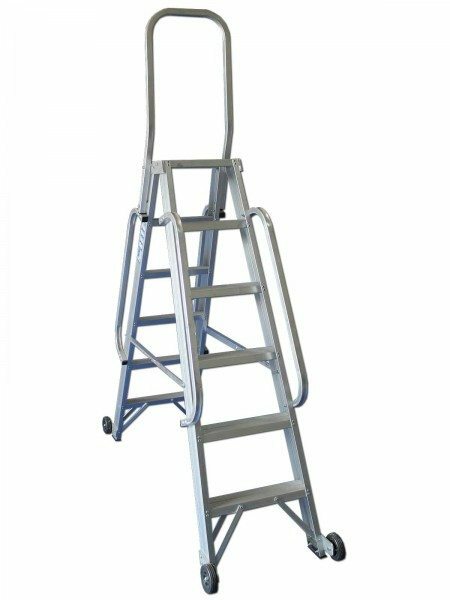 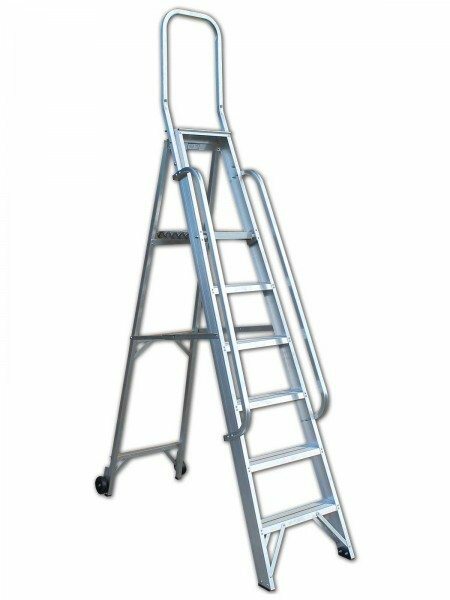 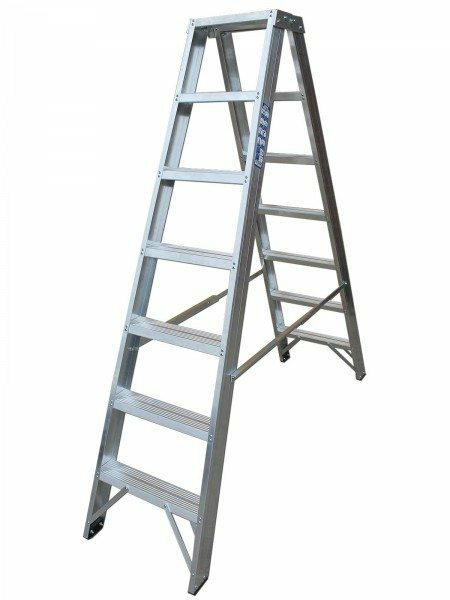 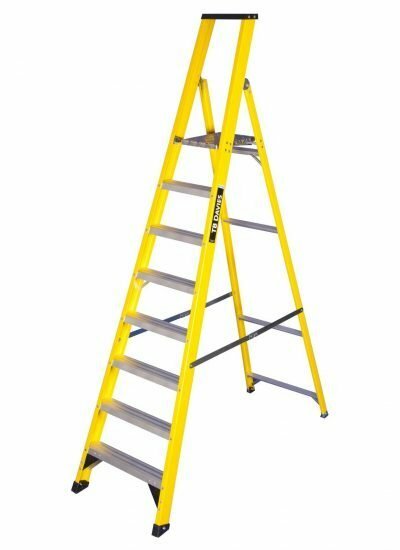 The ladders come with non-slip rubber feet fitted on the front and rear legs. 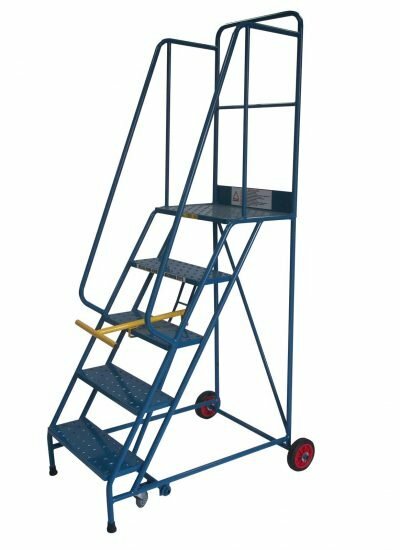 • Exceeds minimum load requirement of new EN131 standard. 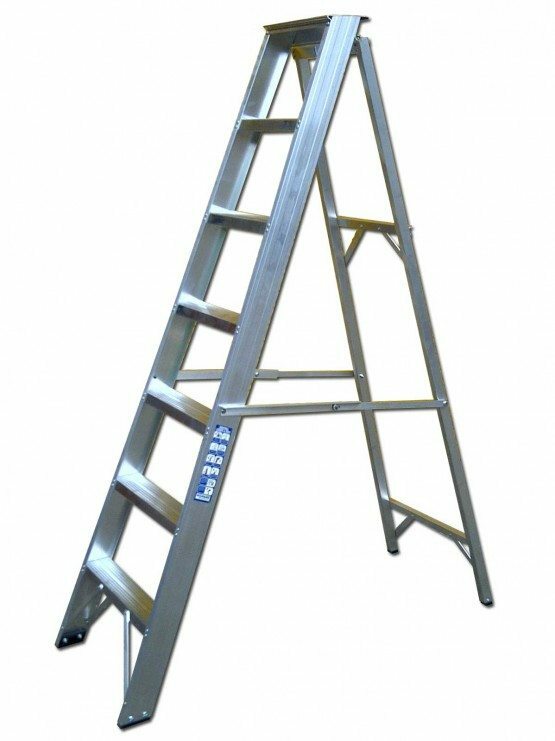 • Suitable for professional and domestic use.